New Mahindra Thar to get 1.5L engine in 2018? There are lot of rumours flying which suggests that India’s leading SUV maker Mahindra has now started working on a new next-generation version of its popular Mahindra Thar SUV that comes with 1.5 litre engine. Mahindra Thar, unanimously is one of the country’s iconic car models, and is also a true off-roader vehicle. Mahindra Thar primarily caters to the lifestyle segment. Thar from Mahindra has got a comprehensive update in the year 2015 which included changes like new interiors, updated design and styling, differential lock at the rear and more. However many think the Thar didn’t justify its price tag. Mahindra Thar’s new model ( the 2018 version which we are talking about) will be getting the all-new chassis that offers pretty much more rigidity than the old Thar version. The very important change is Mahindra Thar’s SUV will be likely equipped with brand new diesel engine which is downsized to 1.5 litres delivering 100 PS of power. The current version of Mahindra Thar is equipped with 2.5 litre diesel engine. With these changes, Mahindra Thar would be meeting the upcoming emission norms and simultaneously delivers better fuel efficiency. The new Mahindra Thar model will also take the advantage of ABS & airbags. Although there are changes in the engine options, do not expect the new Mahindra Thar to look completely different. 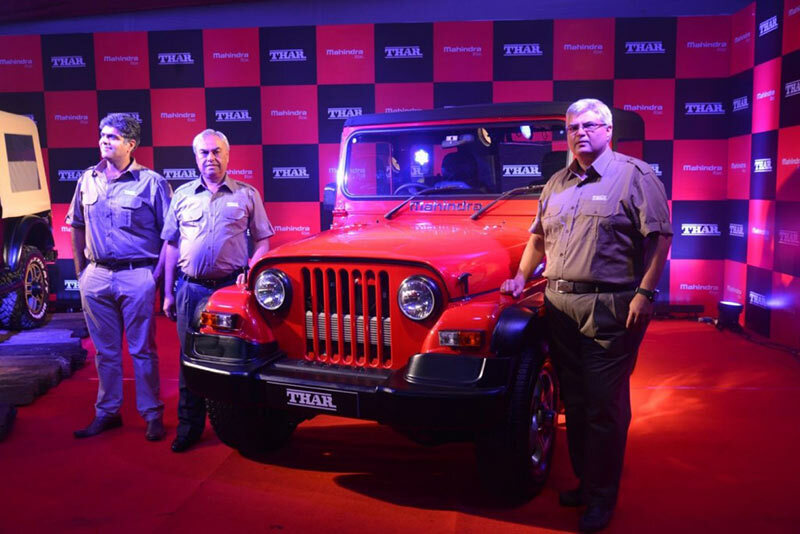 Mahindra is looking forward to maintain the same iconic design of Thar and wants to continuously engage auto enthusiasts who are off-road vehicle lovers.